A dash of divers descend down to shallow depths – word has spread that two solar powered nudibranch’s mating have been spotted on the house reef. 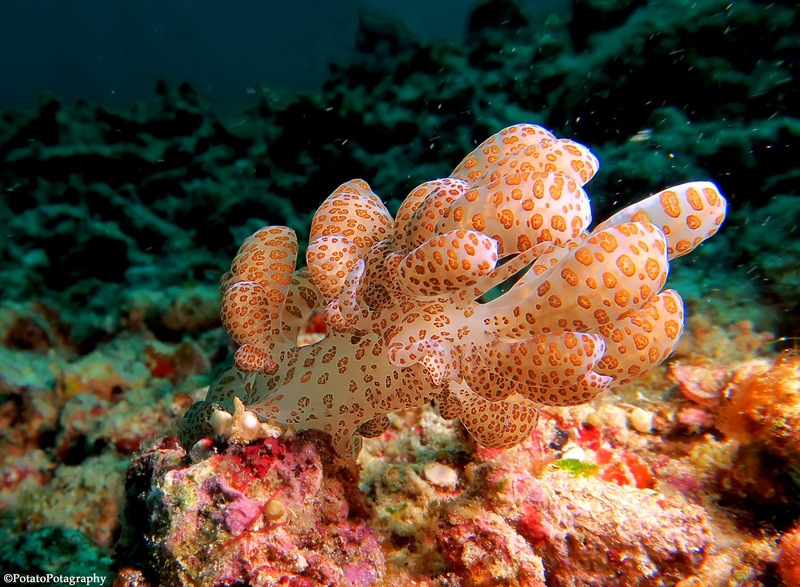 Incredible creatures who receive the majority of their energy from the sun, the solar powered nudibranch harvests zooxanthellae algae from the soft coral upon which it sometimes feeds. In a fortunate feat of nature, a symbiotic relationship ensues. The photosynthetic zooxanthellae lives safely in the Solar Powered’s digestive system, in turn providing its host with energy from the sun. The long, flat, wide, and translucent leaf like cerata stemming from the nudibranch’s body are veined with exposed digestive system showing a speckling of zooxanthellae beneath a thin layer of translucent skin. The exposed zooxanthellea allow the solar powered nudibranch to receive the energy of the sun and give the solar powered a resemblance of a living moving flower. The mating solar powered pair rest in the shadows of a TRACC built artificial reef (a teepee); reproduction organs planted in each other at opposite ends to form a circle of gently intertwined bodies in a fanciful mess of softly glowing cerata. They will stay in this circular act of creation until fertilized, laying up to 1 million eggs in a rose patterned spiral somewhere along the reef crest, giving life to a new generation of naturally fantastical creatures. Nudi = naked, branch = gills, appropriate Latin for creatures making love in the oceanic sun.